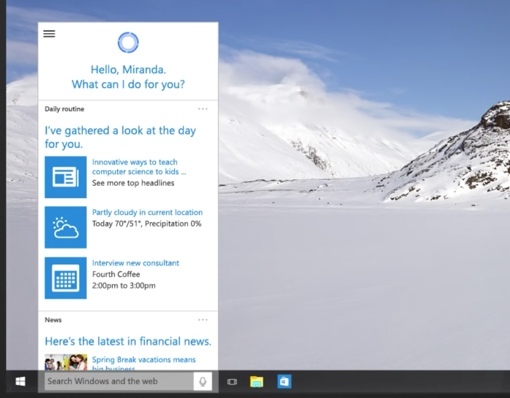 It was a long wait, but the launch of Microsoft Windows 10 is finally here. The operating system has already generated a lot of buzz. It features a new, lightweight Internet browser called Microsoft Edge, Cortana integration, continuous free updates, new security features, virtual reality support, and for Lenovo owners, voice search across all devices. If you’re interested in upgrading your computer to Windows 10, there are a few things you should learn. Naturally, there are system requirements. But you should also know about potential delays in installation and – more importantly – how to actually get your free copy. 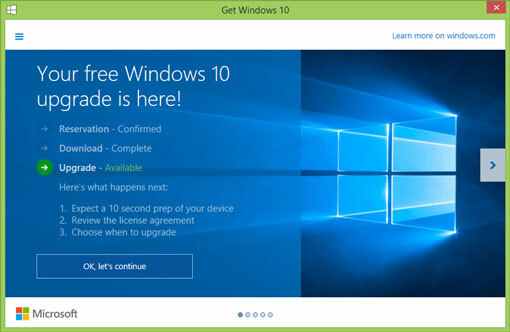 You may have heard a lot about Windows 10 being a free upgrade, and it’s true – for Windows 7, Windows 8 and Windows 8.1 computer owners. Older versions of Windows (such as Vista and XP) do not qualify for a free upgrade. You need to complete your upgrade process by July 29, 2016 for it to be free, so don’t delay. If you’re planning on building your own Windows 10 PC, expect to pay $119 for Windows 10 Home or $199 for Windows 10 Pro. 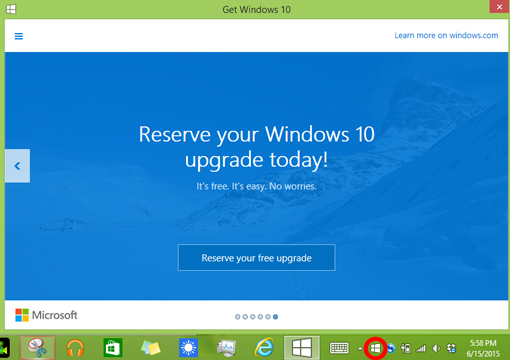 Windows 10 Home users can upgrade to Windows 10 Pro via the Pro Pack for a $99 fee. You’ll need to be running the latest version of Windows possible for your current license before you can upgrade, so make sure your computer is running Windows 7 SP1 or Windows 8.1 Update. Hardware wise, your computer needs a 1 GHz or faster processor, at least 1 GB of RAM (2 GB for 64-bit) and 16 GB of hard drive space (20 GB for 64-bit). Most computers manufactured this decade should be able to handle Windows 10 without problems. Note that certain factors could complicate your install, such as a lack of app or driver support. If an issue does come up, Windows will notify you during the install process and provide you with contact information for the manufacturer or developer so you can learn more. In most cases, you can continue to upgrade to Windows 10 and find a workaround for the problem in the Windows Store. 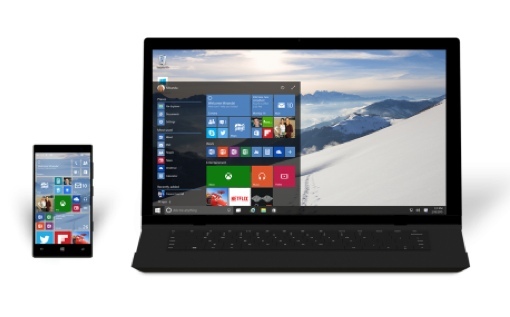 You can reserve your copy of Windows 10 through the Get Windows 10 app on your PC. To launch the Get Windows 10 app, look for the small Windows icon on the right side of your taskbar. The icon is circled in red in the image above. Click “Reserve your free upgrade” in the app window, and provide your email address – that’s all there is to it. You might not be able to install it on launch day. From there, Microsoft will begin sending upgrade notifications in waves to those who have reserved their copy of Windows 10 on the company’s website. Or, you can click on the Get Windows 10 app icon. If your copy is ready, the app will tell you. Want to learn more about Windows 10? Check out our Windows 10 overview, complete with brief videos of some of the operating system’s most important new features. You can also check out the Windows 10 FAQ at the Microsoft website. Today, July 30, you told us about how to get a free upgrade but we had to do it by July 29. I’m quite sure how to do that - can you help! Paula that’s July 29 2016. That’s nest year. I have a desk top win 8.1, a tablet-notebook win 8.1, and a tablet visa. I was allowed one device upgrade only. What is the message that you’re getting when you try to upgrade the second win 8 device? I can pursue the question with Microsoft. That third device is a Vista tablet? If so, that’s not upgradable for free. Do not have the Windows Icon circled in Red on the right hand side of my desktop. I have Windows 8.1. What can I do to reserve a copy of Windows 10. I already have Windows 8.1. I already have Windows 8.1. Computer came with Windows 8. If I started upgrading and saw problems with older programs being compatible, could I stop and revert to Win7? I’m probably sticking with Windows 7 because of all the programs I have (like Photoshop CS) that may not work with Win10, and I sure can’t afford to buy upgraded programs. Hi Jenny M. You should be able to roll back for 1 month after you upgrade. Anyway, to roll back you open the Start menu, open “settings” then click on “Update and security” then click on “recovery” there is supposed to be an item that says “Go back to Windows 7” I can’t verify this because mine says “Go back to Windows 8”. I tried going to the windows support forums but I was warned that the certificate was invalid and the connection wasn’t secure. Should I just wait until they get the bugs out or is there something else I can try? I’m not seeing a certificate error when I go to the support forum. As long as you are going to the official Microsoft forum (and not something else that looks like an official forum), I wouldn’t worry about a certificate error; it won’t matter for just browsing the site for info. Windows 10 does not have the Easy Transfer program anymore. You will need to use a tool like PCmover from Laplink to get your apps, data and setting from your old PC to your new Windows 10 computer. I am very concerned about security for this operating system. A lot of information from your system is shared through various servers.